Some time ago I was set the mini brief of having to find all the letters in the alphabet in every day objects (see blog post 27th February 2014). Since then I have been looking for the last letters that were needed, which were : G, J, K, Q, U and Z. I have found these letters and they can be seen below. Above are the missing images that create the letters in the alphabet. 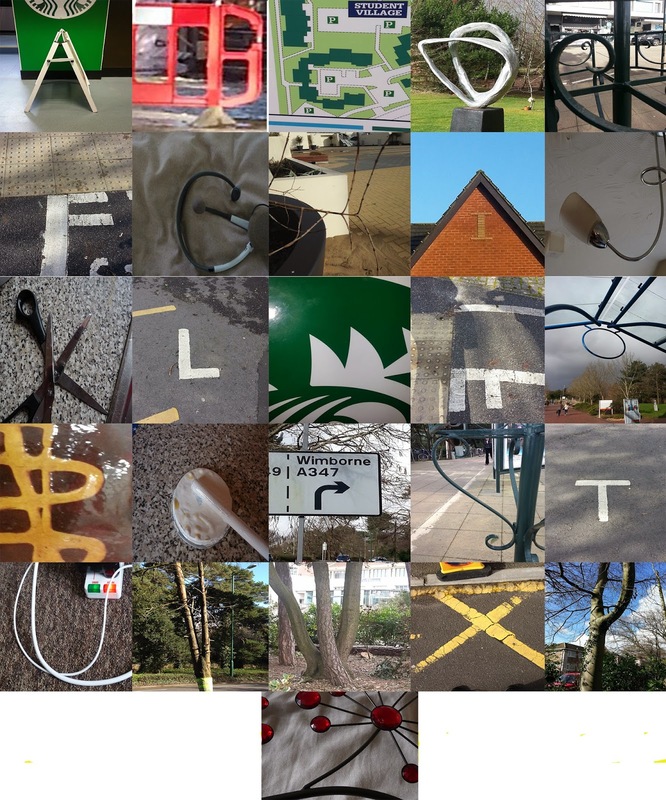 Using this I have created to images, one of the complete alphabet and one of my name.